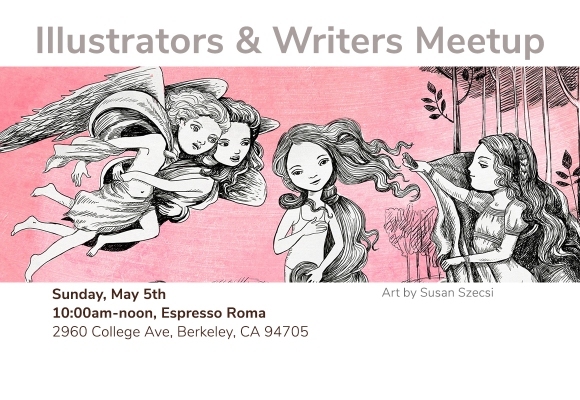 This is a free event from 10 a.m. to noon at Espresso Roma in Berkeley. Let’s meet for coffee and chat. Illustrators and writers are welcome! 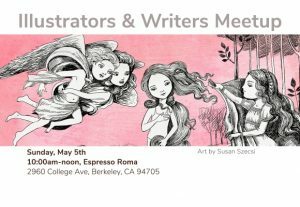 Come out from your writing and illustrating caves and share your stories, experiences and questions with the rest of us! All writers and illustrators are welcome, from all areas, including non-members. This is a casual meet-up; the only fee is the price of your drink/food. You are welcome to bring work to share (or books you love), though please don’t expect any critiques. If you are looking for a critique group, this is a great chance to meet others who might be looking or who have room in theirs. Please note: we will likely be in the side room off of Ashby. particularly the writing and illustrating public! By attending this event, you agree to abide by this policy. Program subject to change without notice.